Black Friday: Buy one, get one free! Starting Thanksgiving Day through 11/26/17. 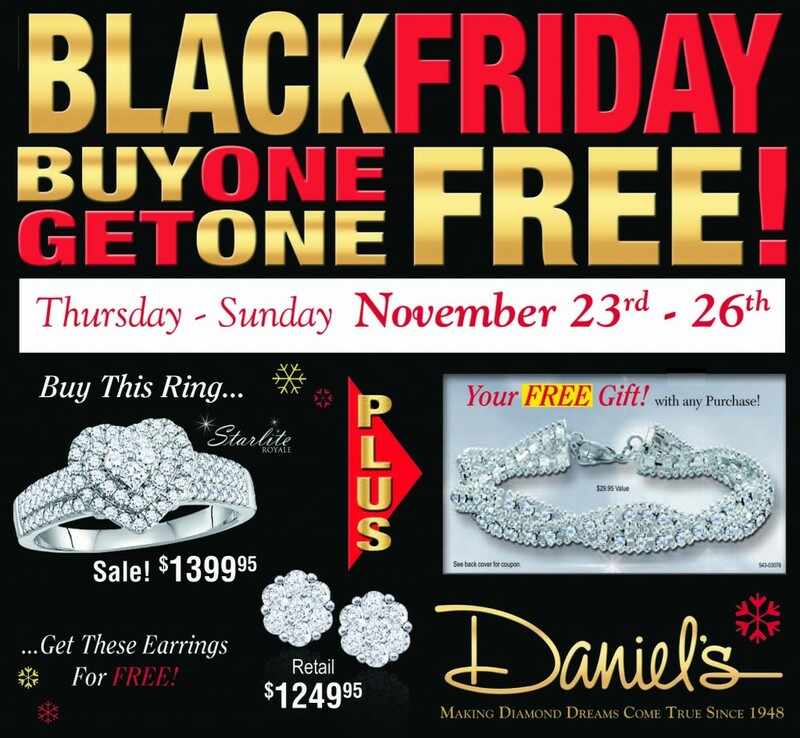 Buy any piece of fine jewelry and get the 2nd one for FREE! PLUS get an additional FREE GIFT with any purchase!